41. אָמַר רַבִּי שִׁמְעוֹן, הַקָּדוֹשׁ בָּרוּךְ הוּא לֹא נִסָּה אֶת אִיּוֹב וְלֹא בָא עִמּוֹ בְנִסָּיוֹן כַּנִּסָּיוֹן שֶׁל שְׁאָר הַצַּדִּיקִים, שֶׁהֲרֵי לֹא כָתוּב בּוֹ וְהָאֱלֹהִים נִסָּה אֶת אִיּוֹב, כְּמוֹ שֶׁכָּתוּב בְּאַבְרָהָם (בראשית כב) וְהָאֱלֹהִים נִסָּה אֶת אַבְרָהָם. שֶׁהוּא בְיָדָיו הִקְרִיב אֶת בְּנוֹ יְחִידוֹ אֵלָיו. וְאִיּוֹב לֹא נָתַן לוֹ וְלֹא מָסַר לוֹ כְלוּם, וְלֹא נֶאֱמַר לוֹ. אֲבָל נִמְסַר בְּיַד הַמְקַטְרֵג בְּדִין שֶׁל הַקָּדוֹשׁ בָּרוּךְ הוּא. שֶׁהוּא עוֹרֵר אֶת הַמְקַטְרֵג עָלָיו מַה שֶּׁהוּא לֹא רָצָה. שֶׁהֲרֵי בְּכָל זְמַן בָּא הַמְקַטְרֵג הַהוּא לְעוֹרֵר עַל בְּנֵי אָדָם, וְכָאן הַקָּדוֹשׁ בָּרוּךְ הוּא עוֹרֵר אוֹתוֹ עָלָיו, שֶׁכָּתוּב (איוב א) הֲשַׂמְתָּ לִבְּךָ עַל עַבְדִּי אִיּוֹב. אֲבָל סוֹד עָמֹק הוּא. The Zohar discusses the difference in the ways Tzadikim are tested. In the following verse we read that God, ELHYM, initiates a test with specific details, telling Abraham to take his son to mount Moriah where he will put him on an altar for sacrifice. In the next verse we see that YHVH suggests to Satan to deal with Job. God doesn’t give details but lets Satan freedom to do as he sees fit for the process. The only condition was that Satan could not take Job’s life. There are two paths of correction. One path is when the process is guided from the higher levels. Every test and work put on those who follow the righteous path is to support them in the process of elevating themselves to a higher level. The other path is when Satan is given the freedom to judge and execute judgments on us. The process is usually difficult and comes with different kinds of pain. In most cases we must go through the painful path before we are cleansed to a level that helps us receive greater challenges from God and accept the hardship with appreciation to the process. Righteous people have personal guidance from above and all the challenges they receive help them reach higher levels. Satan was created to serve God, and even if we see terrible things happening to us or to others by Satan we should always remember that there is only one force in control of this world and it is YHVH. All the horrors of the evil world around us happen in physical level of Malchut. Everything is temporary and part of the global correction. When we see expression of evil, we need to look for a correction and that is never done by raising greater evil to subdued the smaller one. The Zohar says that a little light pushes away a lot of darkness. It is correct for our own lives and for the world in general. Light up your candle with the study of Zohar and help others do the same. 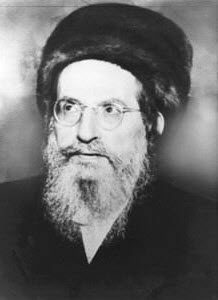 On the death anniversary of Tzadikim we light candles to connect, ask and receive their support. The Unity Zohar is another great tool to keep the Light of the Zohar lit all over the world. Daily Zohar # 2051 - Tetzaveh - The gift of life Daily Zohar # 2053 - Tetzaveh - What is the measure of your days?